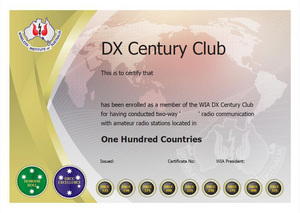 This award is available to all Radio Amateurs who submit evidence of having worked 100 approved current entities using a mix of modes. QRP and other endoresement are available on application. For clarity, the ‘common’ name is used to indicate the type of modulation. Mode may be shown as the common name or the technical indicator on applications. If in doubt, contact the Awards Manager for clarification awards_at_wia.org.au. 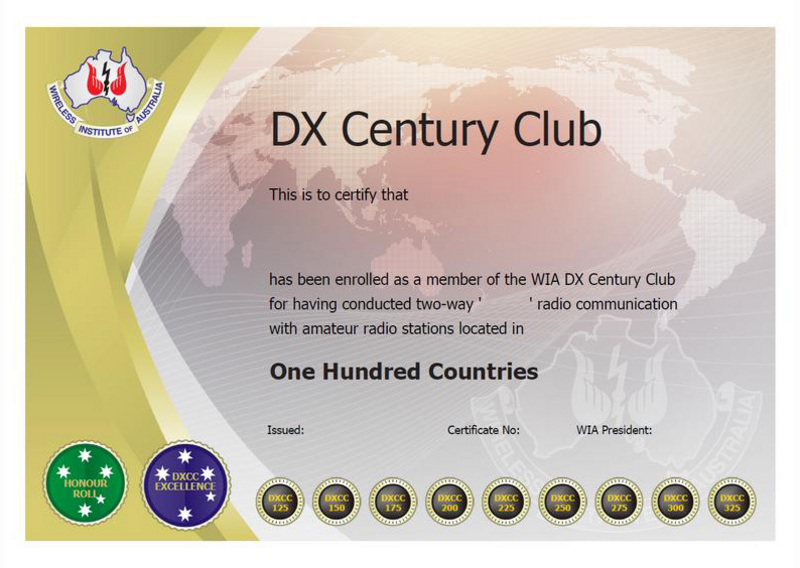 Contact & Confirm a minimum of 100 DXCC entities on any mix of modes. WIA "Honour Roll" achievement is available for working within 9 of all current entities confirmed.